“Come and get it, GOT7” is a catchphrase that GOT7 does when they are introducing their group. 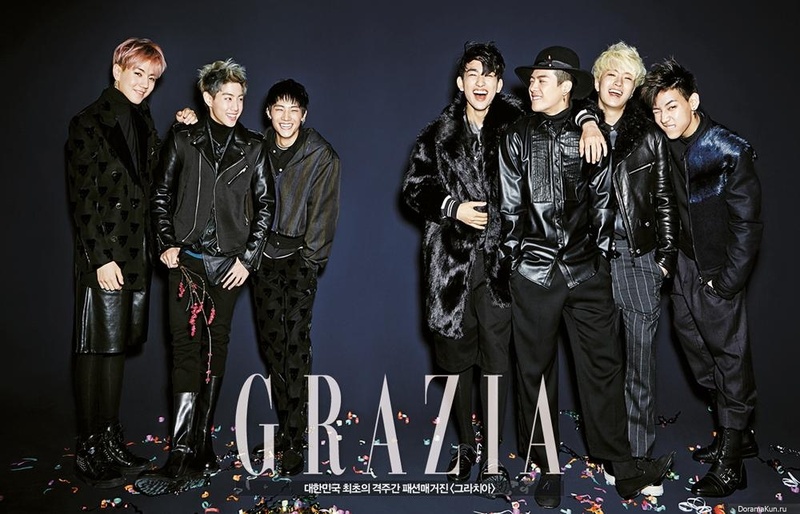 The group consists of seven members from several countries. Jaebum, Jinyoung, Youngjae and Yugyeom are Korean, Mark is American, Jackson is Chinese and lives in Hongkong, and, lastly, Bambam is Thai. GOT7 is a group under JYP Entertainment that debuted on January 16, 2014. When they debuted, they were well known as a group that did a lot of material arts tricking in their choreography. Because of that, Mark got the new nickname of “Flying Mark”. GOT7 has released multiple albums. Their first album charted well in Korea and also overseas. They even peaked at number one on Billboard’s World Album Chart. They will make a comeback in March with a new album called Eyes on You. 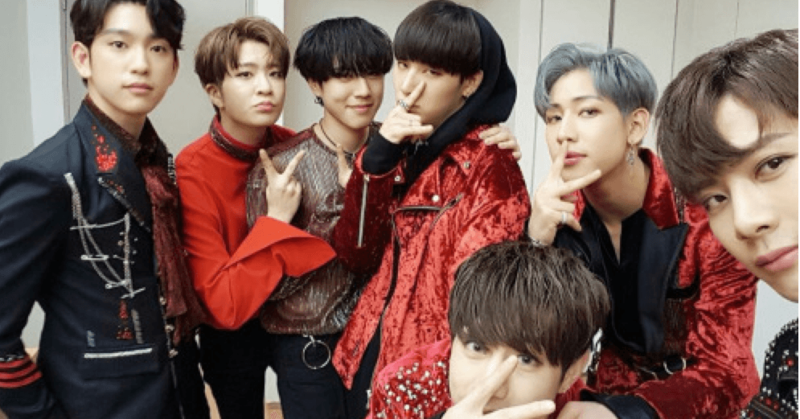 GOT7 is also popular in Japan. They began promoting in Japan in 2014. They signed a contract with Sony Music Entertainment Japan and released their first Japanese album in the same year. 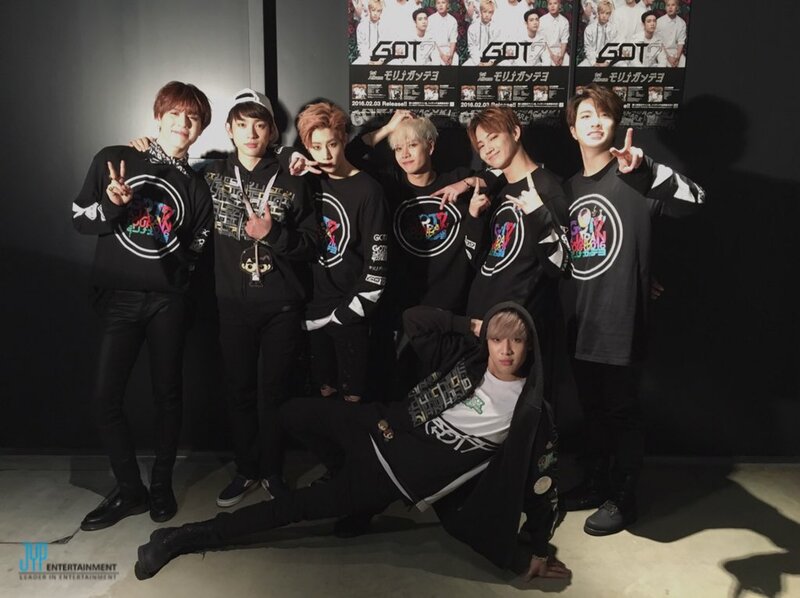 On October 7, 2014, until November 6, 2014, GOT7 did their first Japanese tour called Around the World. They went to five cities in Japan, Osaka, Fukuoka, Tokyo, Nagoya and Chiba, with a total of 9 shows. On March 25, 2014, they released the CD and DVD concert called GOT7 1st Japan Tour 2014 ‘AROUND THE WORLD’ in Makuhari Messe. The DVD comes with three versions: First Press Limited Edition Version, Blu-Ray Version and DVD Regular Version. The First Press Limited Edition Version comes with 2 DVDs and a photo book. The second disc includes rehearsal footage and member interviews from GOT7 1st Japan Tour 2014 “Around The World” Document Movie. GOT7 always holds a fan meeting every year. The fan meeting is held after their anniversary date on January 16. They hold the fan meetings to repay the love and support they receive from their fans. Also, to celebrate their anniversary with their IGOT7s (GOT7’s fan club name), they have already held their fourth-anniversary fan meeting. In 2016, GOT7 went back to Japan and did a concert tour in 6 cities with a total of 11 shows. They began their tour on January 21, 2016, and ended their tour on February 28, 2016. After the Japan Tour 2016 ended, they released the concert DVD GOT7 Japan Tour 2016 ‘Moriagatteyo’ in Makuhari Messe on August 3, 2016. The DVD is divided into three types: Limited 2 Blue-Ray Edition, Limited 2 DVD Edition, and Normal DVD Edition. The limited editions come with an 80-page photo book. The DVD’s highest peaked is number 4 on the Oricon Chart. GOT7 is a really popular group worldwide, and they have a lot of overseas fans. They were nominated for the MTV Europe Music Award for Best Korean Act in 2015. In 2016, they won the MTV Europe Music Award for Best Worldwide Act (Korea). They also had lots of overseas concerts. GOT7’s first world tour is Fly. Fly is the title track for GOT7’s mini album Flight Log: Departure which released on March 21, 2016. The world tour was held from April 2016 until August 2016. The first concert was held in Seoul, and they went to several countries in Asia and several states in North America. They sold 104,085 tickets in 10 countries. They started the tour in Seoul and ended the tour with a final concert in Seoul. On June 2, 2017, they released GOT7 1st Concert ‘Fly in Seoul’ Final DVD. The DVD comes with three DVDs, a 96-page photo book, a poster, seven random photo cards and a random photo book. This edition’s price is US $62.99 in online shops. 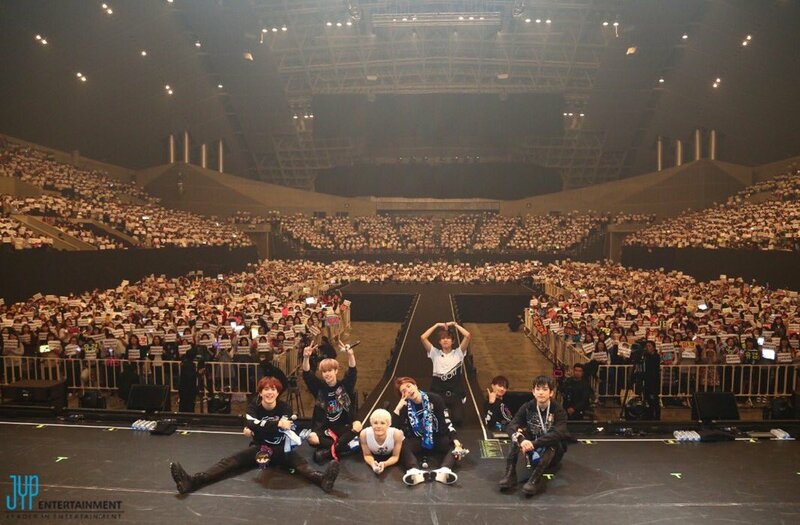 GOT7 went back to Japan and did the Japan Showcase Tour “Meet Me” on May 5, 2017, until June 27, 2017. They went to 6 different cities, and their tickets were sold out. They also held a concert in Yoyogi Nation Gymnasium in Tokyo on June 24 and 25, 2017, with Arena Special “My Swagger”. GOT7 released their 4th Japanese single on May 24, 2017. The single came with the two tracks My Swagger and Meet Me and two instrumental versions. The single charted well on Japan’s Oricon Chart. It was number one on Billboard Japan, Japan Hot 100, and Billboard Japan Top Singles Sales. Moreover, it was number three on Japan’s Oricon Singles Chart. This single’s sales are 61,305 copies. 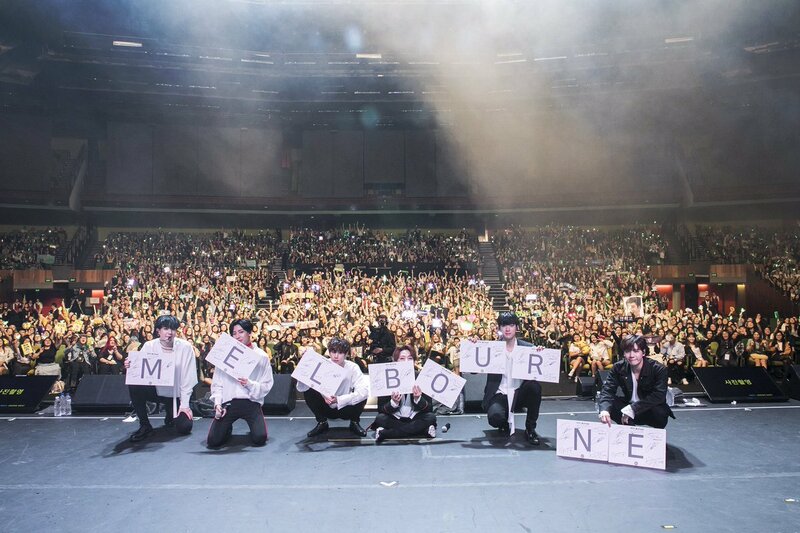 GOT7 held their first global fan meeting in Australia. Originally, they announced to hold the fan meeting in three cities (Sydney, Brisbane and Melbourne), but due to demand, they added the additional city Perth. The ticket sales started on February 25 for Brisbane and February 26 for Melbourne. GOT7 has one member from Thailand, Bambam. GOT7 members said Bambam is really popular in Thailand, which is true. Bambam shot some individual CFs in Thailand. Because of having a Thai member, GOT7 got lots of love calls from the Thai entertainment industry. They came to do interviews, shoot CFs, and partake in some TV show programs in Thailand. 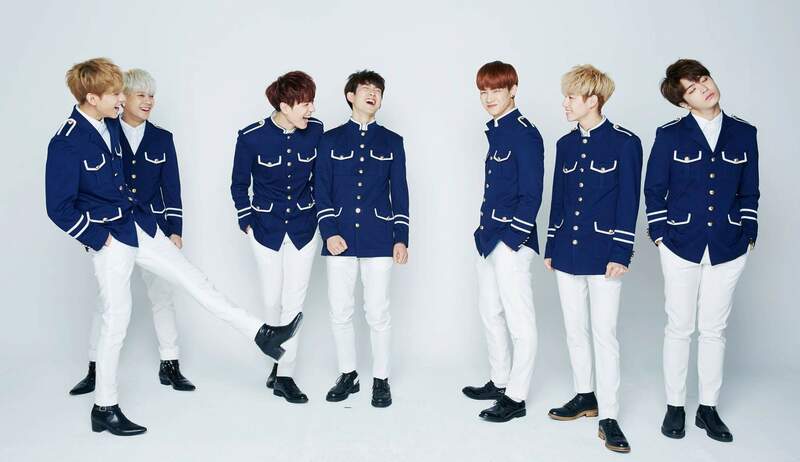 GOT7 became the models for Tao Kae Noi, the popular seaweed snack in Thailand. Also, they became models for the popular Thai cola Est Cola. On June 3, 2017, until June 20, 2017, they toured around Thailand across four cities to hold concerts. In July 2017, they announced that they will release the DVD of this NESTIVAL 2017 concert. There are two types of packages. One is 2 DVDs and a Postcard and the other one is 2 DVDs and a photo book. Jackson is one of GOT7’s members. Jackson was born in Kowloon Tong, British Hong Kong on March 28, 1994. He was a fencing national athlete in Hong Kong. He won first place at the Asian Junior and Cadet Fencing Championship in 2011. Jackson contributed to the group’s popularity in China. GOT7 has a big fandom in China, especially Hongkong, and they have a lot of awards in China. On July 1, 2017, they were meeting with their Hong Kong fans at their global fan meeting in Hong Kong. It was held in Asia World-Expo Arena with over 10,000 capacity. GOT7 released their second full album Flight Log: Turbulence on September 27, 2016. The album was part of the Flight Log concept. Following the release of the album, they also held a fan meeting named after the album’s title, Flight Log: Turbulence Fan Meeting. They went to 15 cities in 9 countries. 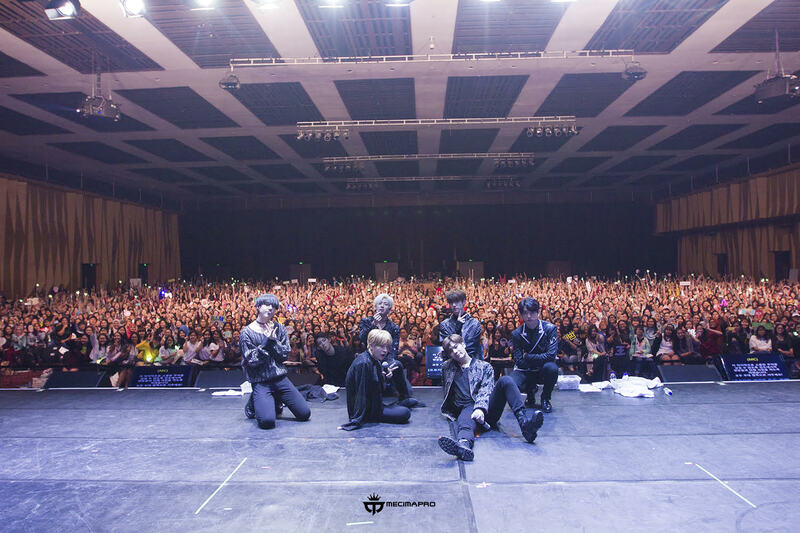 They started the fan meeting in Vancouver, Canada, on November 11, 2016, and ended it in Jakarta, Indonesia on February 18, 2017. 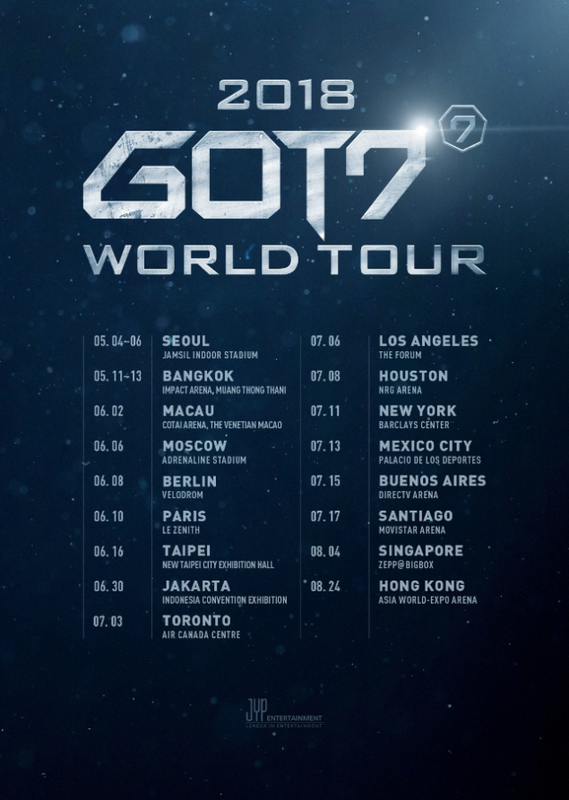 On February 21, 2018, GOT7 announced their world tour concert in 2018. They released a poster of dates and locations. They will hold the world tour in 17 cities around the world. The concert will kick off in Seoul on May 4, 2018. After that, they will go to Bangkok, Macau, Moscow, Berlin, Paris, Taipei, Jakarta, Toronto, Los Angeles, Houston, New York, Mexico City, Buenos Aires, Santiago, Singapore and Hong Kong. 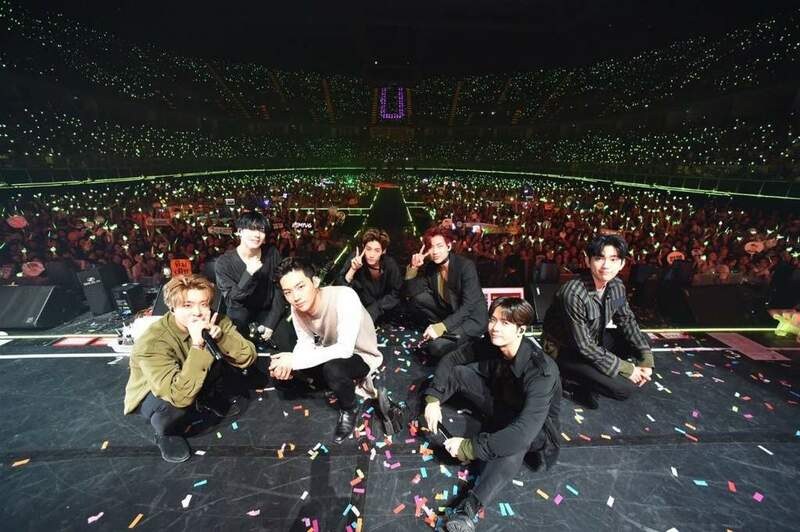 GOT7’s concert at Barclays Center in Brooklyn, New York, will also make history. They will become the first K-pop group to perform in that venue. The capacity of the venue is 19,000 seats. 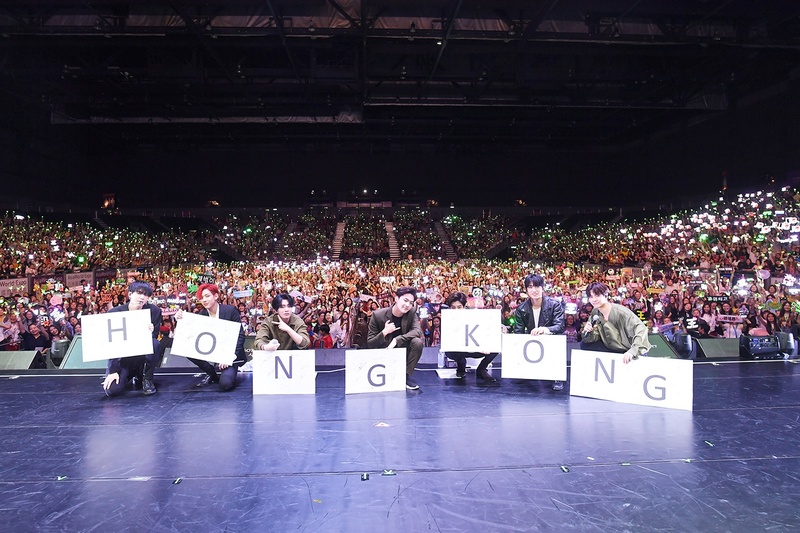 GOT7 holds a lot of fan meetings and concerts in several countries. They are popular not only in Korea but also worldwide. Their fans all around the world want to meet them. For foreign fans, the only chance to meet them is through concerts. So, when GOT7 announces their concerts, their fans start saving up money to buy a ticket. How much should we save up to attend a concert? The range of GOT7’s concert prices is usually around US $215 for VIP tickets and around US $65 for the cheapest tickets. We think it is better for you to save up for their upcoming concert starting now. It is better to save around US $250. If the ticket is cheaper than that, you can use the extra money to buy their official goods at the venue. GOT7’s concert tickets always sell out. Even in several countries like Seoul and Bangkok, they always sell their tickets within minutes. Usually, when the ticket sales start, people battle to get a good view, and the site crashes. So, you have to prepare a fast Internet connection when you want to buy a ticket.